We are sharing our idea for autumn brides who’re looking for burgundy color inspirations. Fall weddings are a good time of year if you like deep, rich colors. Burgundy, red, wine, deep red and plum are all excellent choices here to match up with the falling leaves, especially if you’ll be getting married outdoors. This is definitely a great color for this time of year, also burgundy can look very striking when paired with coppery colors or deep ivory. 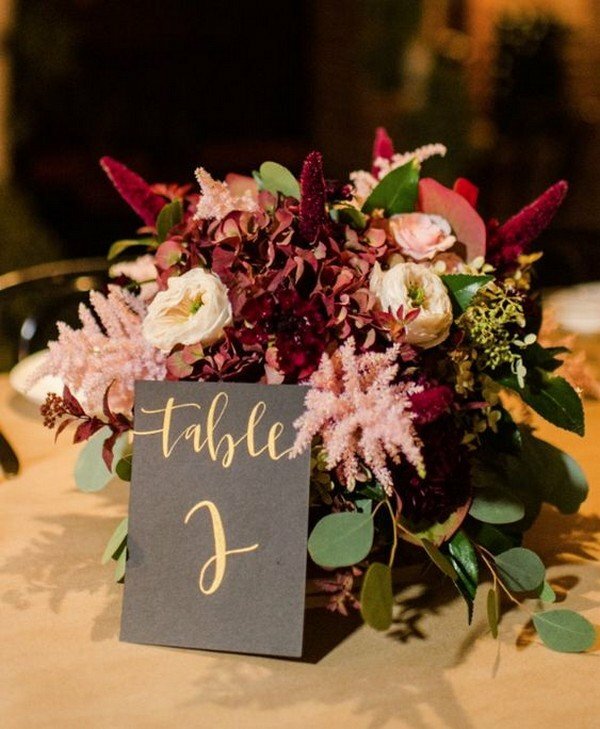 Here’re I’ve rounded up these amazing burgundy wedding centerpieces for your reference. 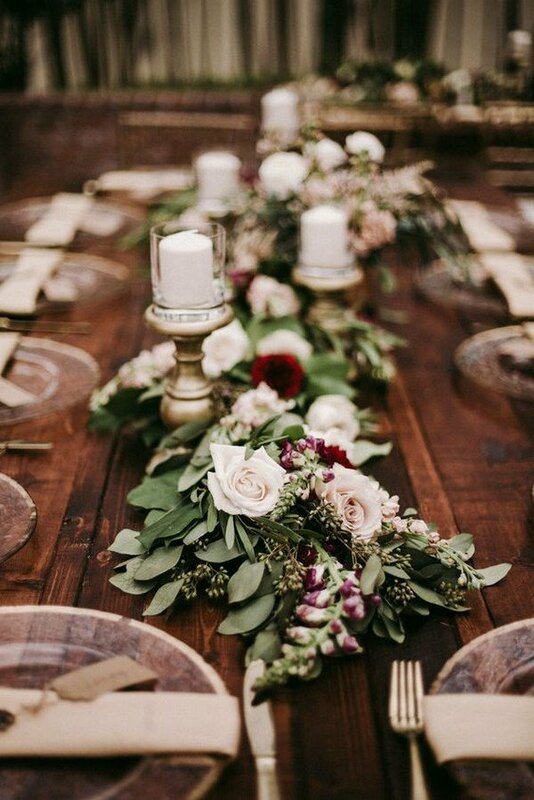 Burgundy and blush is one of the favorite color palettes for fall and winter weddings. This contrasting combo makes any wedding sophisticated and soft, have a look. Burgundy or marsala color is great to highlight that it’s a cold season, blush adds delicacy and sweetness to the décor. Flowers are number on thing that allows to show your color scheme, so go for moody burgundy dahlias and soft blush peonies or roses, add white and crimson if you think that these colors aren’t enough. Mix them for your bouquets, centerpieces, table runners and your floral arch. 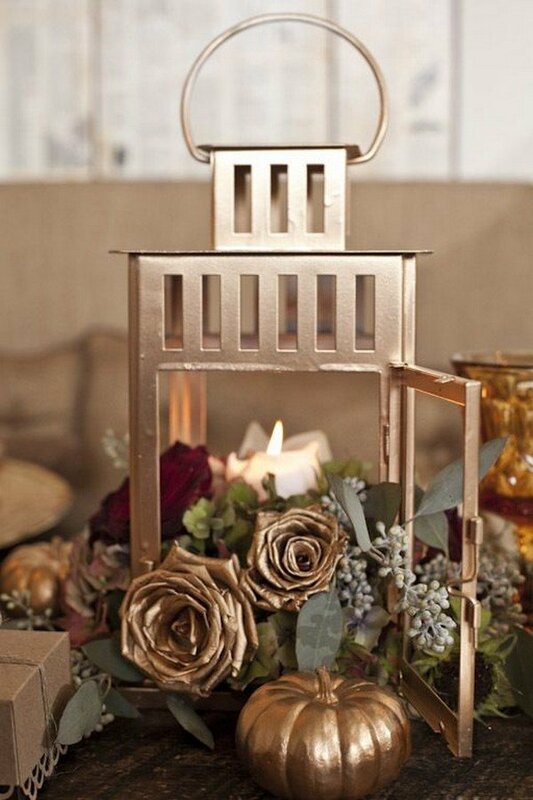 Here let’s take a look at these fabulous burgundy and blush wedding centerpieces.